It was never a secret that Facebook for a long time was trying to engage AI technology to expand the activity on their social media services. From their introduction of functions to identify people who are depressed and who are vulnerable to committing suicide, in August 2015 finally came the time for their own assistant named “M” to suggest an immense variety of actions based on our Messenger conversations. 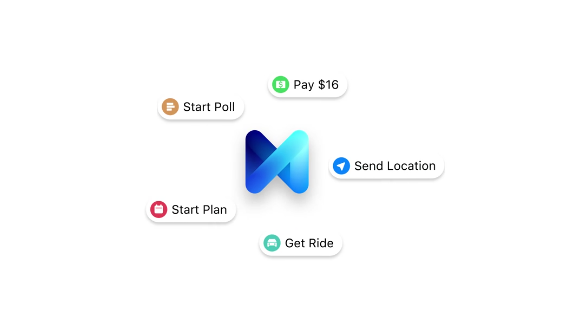 However, it is worth to be mentioned that M had never went beyond the group of beta testers and on19th January 2018, Facebook announced that they would be discontinuing M. In this virtual assistant, technology played a role of persuader in order to encourage the implementation of operation and produce desired outcomes. It was designed to automate tasks and to persuade the user to perform the action. Facebook’s artificial intelligence assistant was programmed to do just about anything – from scheduling a meeting to ordering a ride or even sending location autonomously, exactly when it was needed. The head of the messenger application – David Marcus characterised this virtual assistant: “M is a personal digital assistant inside of Messenger that completes tasks and finds information on your behalf. It’s powered by artificial intelligence that’s trained and supervised by people”. According to this, technology becomes the mediator of human-world connections. Instead of being a material object, it is more like an extension of human beings to intensify relations. All the greatest want to have their own virtual assistant. Apple has Siri, Microsoft has Cortana and Google has Google Now. On such fast-growing market it was predictable that Facebook would also try to adapt and compete with it’s rivals. Referring to David Marcus, Facebook, M as a program, based solely on artiﬁcial intelligence, was different from other assistants, which were not able to execute all assigned tasks: “Unlike other AI-based services on the market, M can actually complete tasks on your behalf”. In other words, this artificial intelligence was “trained and supervised by people”. From the beginning, this project was available just for 10.000 users to message M any request, firstly being processed by the AI to analyse the question and give a response it has already learned before. If assistant got confused, a query was transmitted to a team of human staffers who manually tried to solve the problem, and then instruct M to do the job independently next time. That was a human’s brain based system with an ability of deep learning from it’s own actions. How does the persuasion work? M assistant, based on constant analysis of your conversation and ability to scale, were nudging you to perform the right action during your messenger chat, by displaying a bot on the auxiliary bar, precisely below the messenger conversation. This automotive assistant had a lot to offer: displaying stickers related to your conversation for your everyday interactions, like “Hi” or “Thank you”; helping in coordination a group meeting, when it was triggered by the right set of words in a chat; sending money request, what gives a convenient payment possibilities by generating a link; or creating a poll to support in making decisions and a lot more. But those were just “M suggestions”, which essentially popped up in adequate Messenger conversation moments to advise related content or attribute. M was envisioned to achieve much more and to become fully independent from human’s assistance. It means, that M would be able to actually arrange things on one’s behalf. Let’s have an example: two people are having a conversation about planned going out to a cinema to watch precisely selected movie mentioned during their chat. In this case, M would automatically not only display possible repertoire hours on the screen in the most convenient location, but also book movie tickets for you. That is how persuasion works – nudge to perform the action. But who has a power to decide here? ‘How could an AI or a whole team of people behind M, know which location would they choose? The answer is simple – based on a deep analysis of the conversation and having an access to our device’s location. But are we really so predictable, that algorithm is able have somebody sussed just after a short chat? Or is it really necessary to let technology arrange it instead of us? Let’s be clear, it is very convenient to have the whole thing done before we would be even able to plan it. You would only need one click and everything would be done on your behalf. M assistant gave that all on a silver plate, suggest you to act instead of just chat. These days, as Ph.D. BJ Fogg said: “Everywhere that digital media touches our lives, more and more there is an element of persuasion; a design created by humans and implemented in code to influence what we think, and more and more, what we do”. This virtual assistant gave ready solutions, which made every action more accessible, which is exactly what solutionism is about – the belief that all the problems of humanity can be solved with the right tools and sufficient computing power. So all you needed to do, was let technology to do it for you. them knowledge about the expectations of the society from that kind of automotive, AI-based assistant. 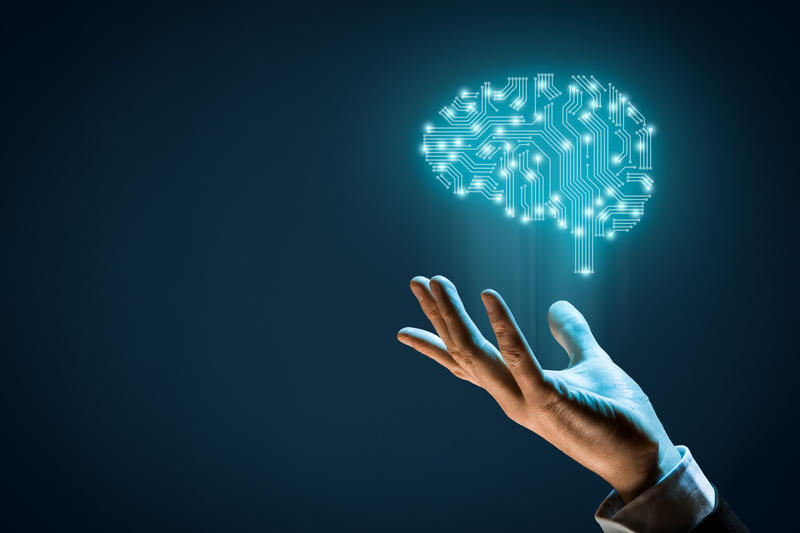 What is more, they also confirmed, that insights received from M were very useful and will be used to power further AI projects introduced to Facebook in the future. That rapid speed of innovation is also pointing out the question: what AI technology is or is not able to achieve? How much will we be vulnerable to technological persuasion? I guess, we will all find out soon. Constine Josh, “Facebook Messenger’s AI ’M’ suggests features to use based on your convos”, 2017, https://techcrunch.com/2017/04/06/facebook-messengers-ai-m-suggests-features-to-use-based-on-your-convos/, Accessed 23 Sept 2018. Fogg B.J, “Persuasive Technology: Using Computers to Change What We Think and Do”, Introduction, Stanford University, 2003. Fogg B.J, “Thoughts on Persuasive Technology”, November 2010, Stanford University, https://captology.stanford.edu/resources/thoughts-on-persuasive-technology.html, Accessed 23 Sept 2018. Hutchinson Andrew , “Facebook Launches M Suggestions in Messenger to Provide Quick Connection to Relevant Tools”, 7.04.2017, https://www.socialmediatoday.com/social-networks/facebook-launches-m-suggestions-messenger-provide-quick-connection-relevant-tools, Accessed 23 Sept 2018. Kozlowska Hanna, “Facebook is shuttering M, its personal assistant aided by AI and humans”, 08.01.2018, https://qz.com/1174749/facebook-is-shuttering-m-its-personal-assistant-that-was-powered-by-both-humans-and-ai/, Accessed 23 Sept 2018. Marcus Davis, [David Marcus’ Facebook profile], 26.08.2015, https://www.facebook.com/davidm/posts/10156070660595195, Accessed 23 Sept 2018. Morozov Evgeny, “To Save Everything, Click Here”, The Folly of Technological Solutionism, Publisher: Perseus Books, New York, 2013. Newton Casey, “Facebook is shutting down M, its personal assistant service that combined humans and AI”, 08.01.2018, https://www.theverge.com/2018/1/8/16856654/facebook-m-shutdown-bots-ai, Accessed 23 Sept 2018. Redge Stuard, “Facebook M virtual assistant will compete with Siri and Google Now”, 27.08.2015, https://www.theguardian.com/technology/2015/aug/27/facebook-m-virtual-assistant-siri-google-now, Accessed 23 Sept 2018. Reichert Ramon and Fuchs Mathias, “Facebook is shutting down M, its personal assistant service that combined humans and AI: Neural Networks, Biometrics and the New Artificial Intelligence”, 2018, 189-197. Tokamani Panagiota, “Persuasive Technology and Human Rights”, 2.1.1 Persuasion, LL.M Law and Technology ,Tilburg University, Netherlands, 2016, 14-20. Verbeek Peter-Paul, “Persuasive Technology and Moral Responsibility: Toward an ethical framework for persuasive technologies”, Paper for Persuasive06, Eindhoven University of Technology, 2013. Wikipedia, “M (virtual assistant)”, 2018, https://en.wikipedia.org/wiki/M_(virtual_assistant), Accessed 23 Sept 2018.